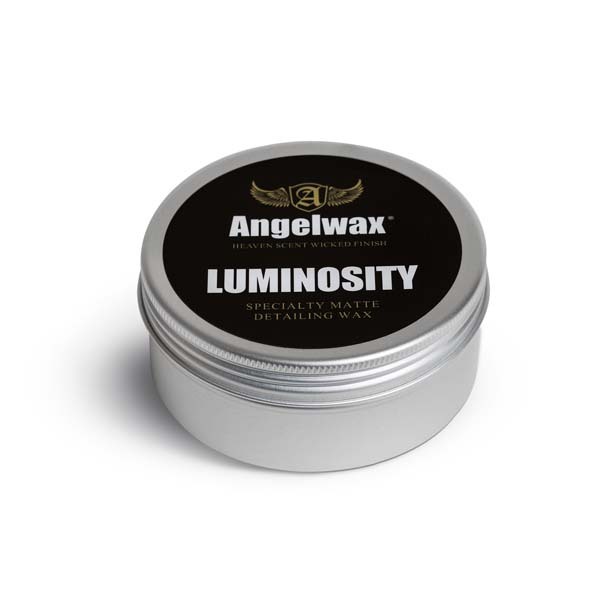 LUMINOSITY from Angelwax, is our ''Speciality Matte Wax'' designed to protect the surface finish of matte painted and matte wrapped vehicles. Formulated by our chemists in our laboratory, this unique wax protects the bodywork from harmful contaminants whilst preserving the matte paint finish or matte wrap of the vehicle ensuring that it remains lustreless. As with all of our products, we ony use the finest pharmaceutical grade waxes and natural oils the planet has to offer making this the ultimate ''must have'' wax for anyone with a matte finished vehicle.